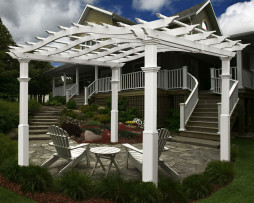 Pergolas are are an excellent addition to the look a quality feel of your property. They not only look great, add a touch of class and elegance to gardens, deck areas and pool-side patios but they also make a great focal point for entertaining events. These gorgeous backyard accessories are designed to bring nature and beauty into your garden and/or accent your home. 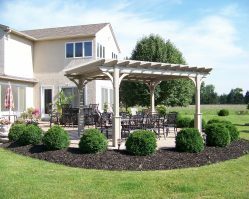 Quality construction and classical styling highlight these aesthetically pleasing decorative yard pieces, which are truly, works of art. 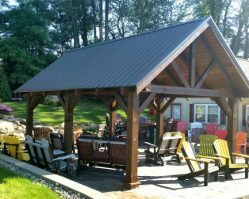 Contact Salem Structures for more ways to compliment your outdoor living lifestyle. 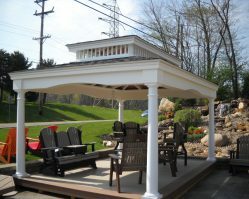 Our Luxcraft Pergolas and Pavilions are a perfect way to enhance any Pool or Backyard ! Our Trained staff at Salem Structures will be there to assist you in Any way possible ! allows you to have the Backyard of your dreams !